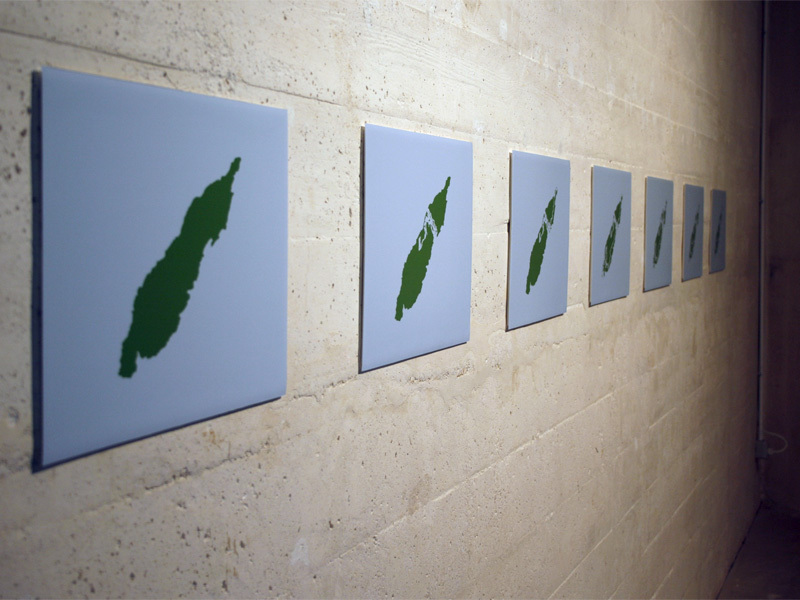 GPS Erasure (Sa Dragonera) explores the relationship between technology, landscape and human interaction within a natural environment. 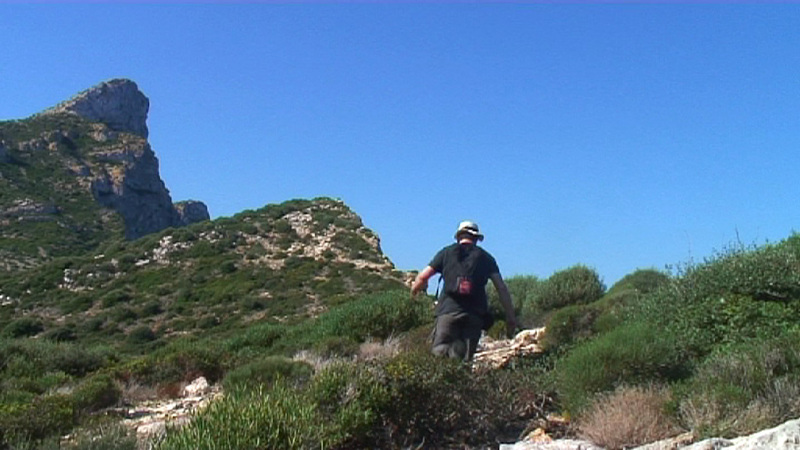 Spending six days on the uninhabited island of Sa Dragonera off the coast of Mallorca, Knaub walked different parts of its terrain each day while being equipped with a GPS receiver. 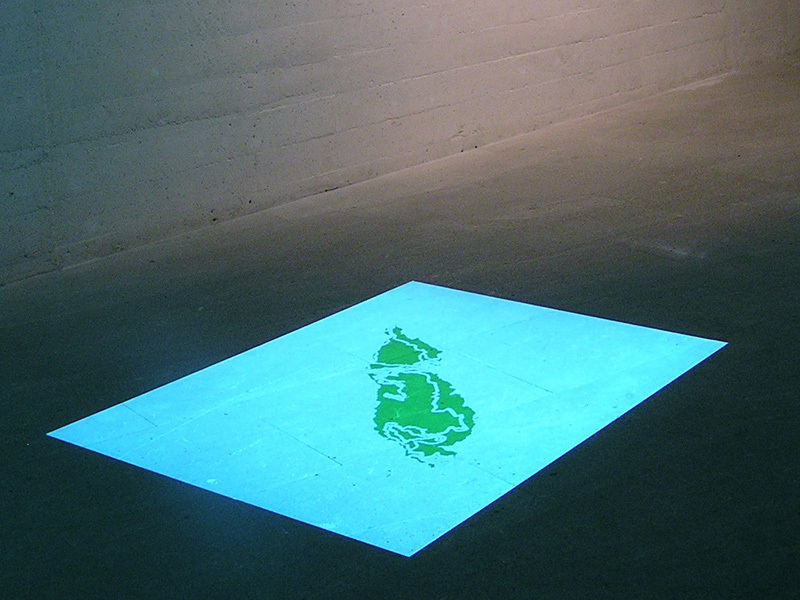 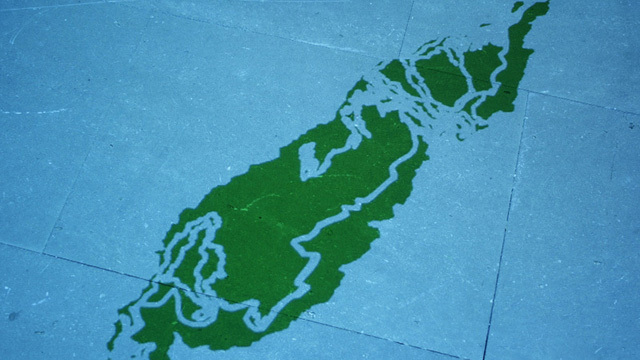 The resulting data where then overlayed onto a projection of the map of the island to gradually 'erase' its shape and geographical identity.